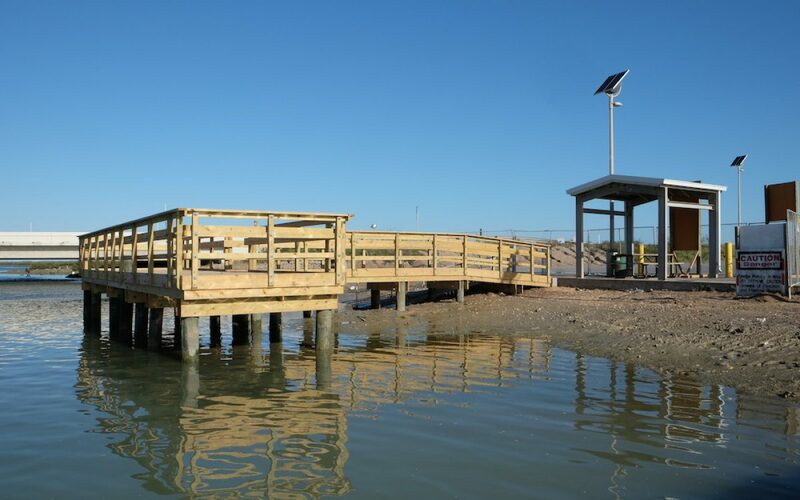 The construction phase began by drilling piles 20 feet into the water bed with a hydraulic pile driver to create the structural foundation of the fishing pier. 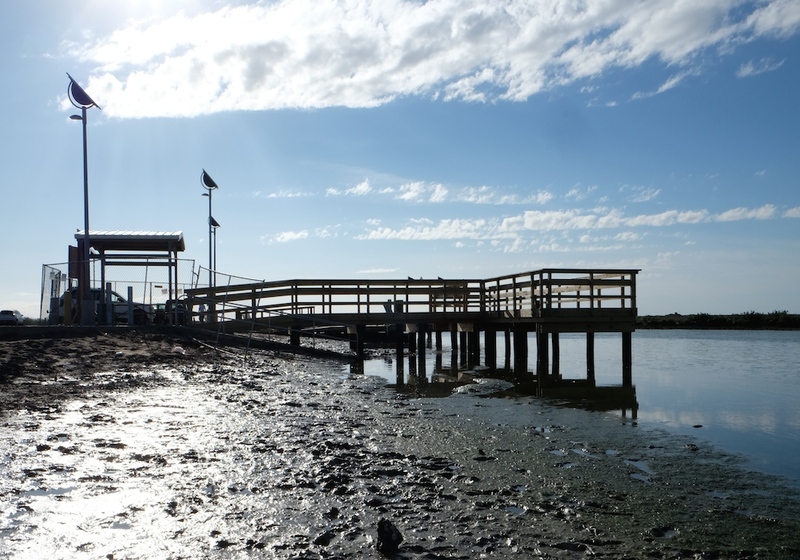 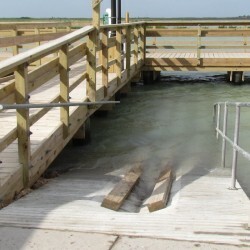 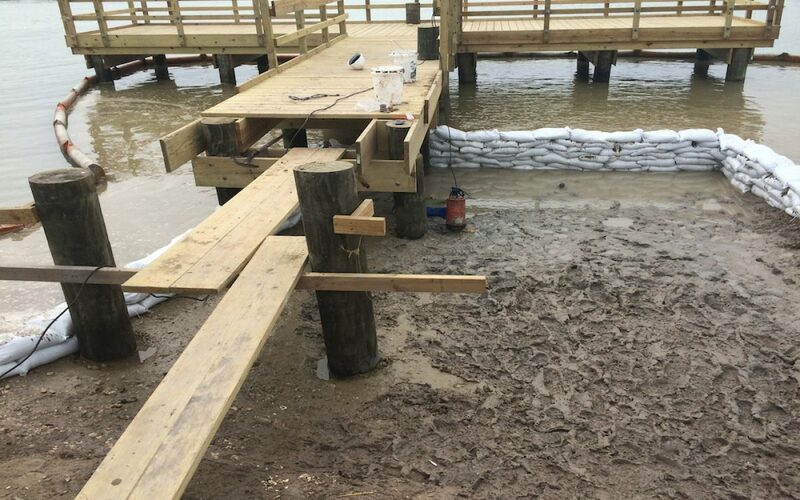 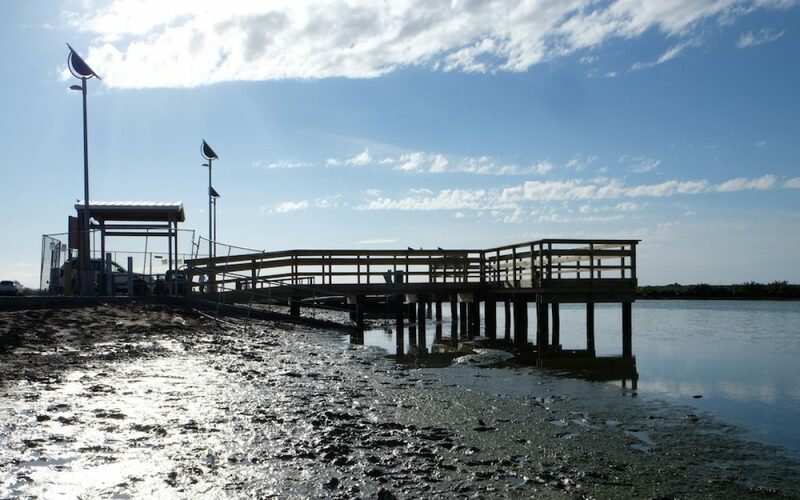 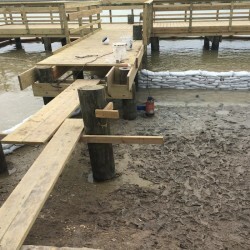 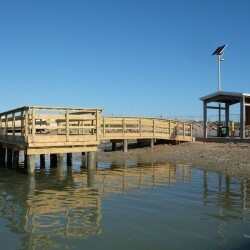 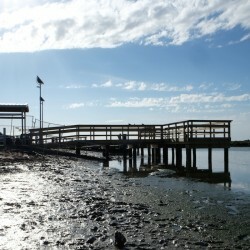 Due to the starting period of the project (when high tide is during the day and low tide is at night) the subcontractor had to utilize multiple methods to install the lumber framework of the pier. 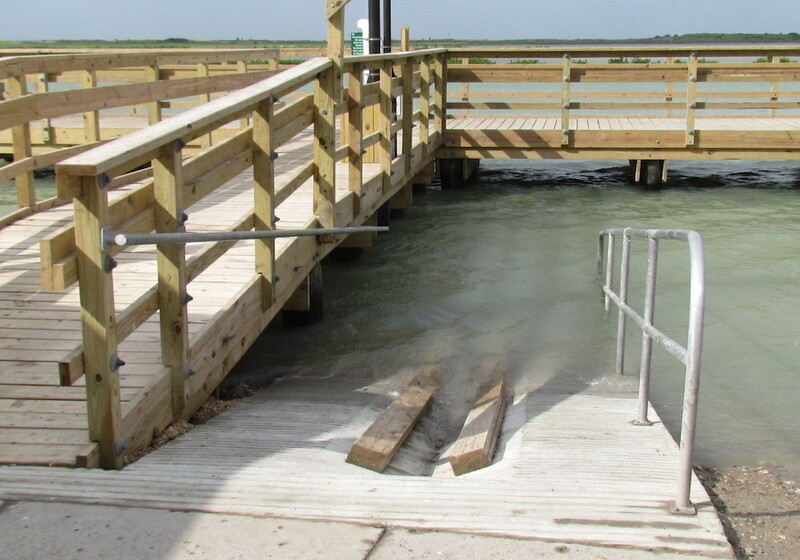 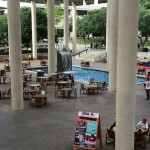 This included using floating barges and cranes. 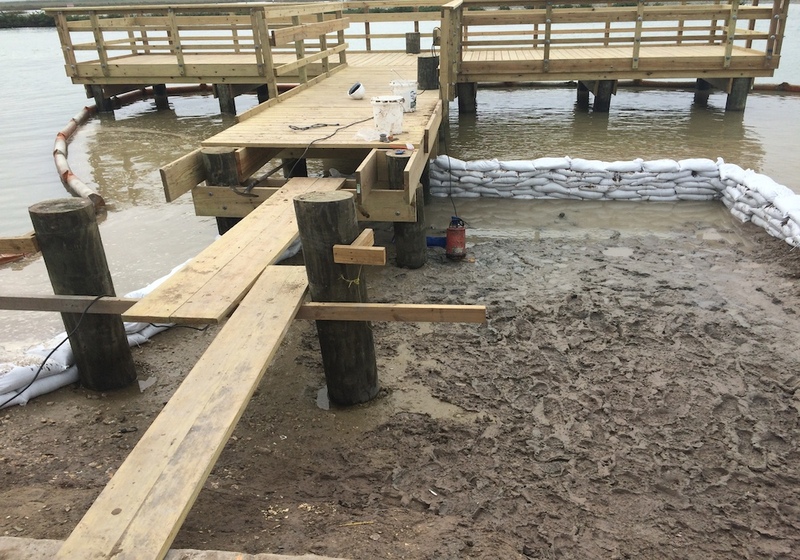 Both the lumber and fixings had to be specially treated for protection against exposure to salt water. 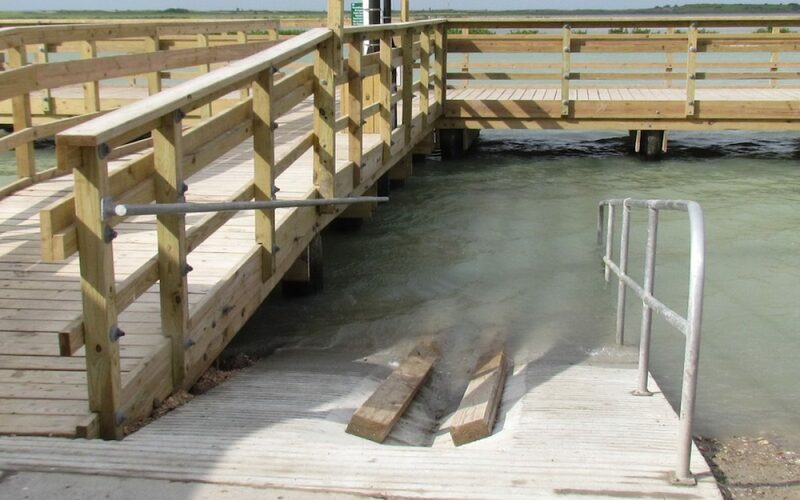 A cofferdam was created to allow the subcontractor to construct the concrete kayak ramp and with aluminum railing. 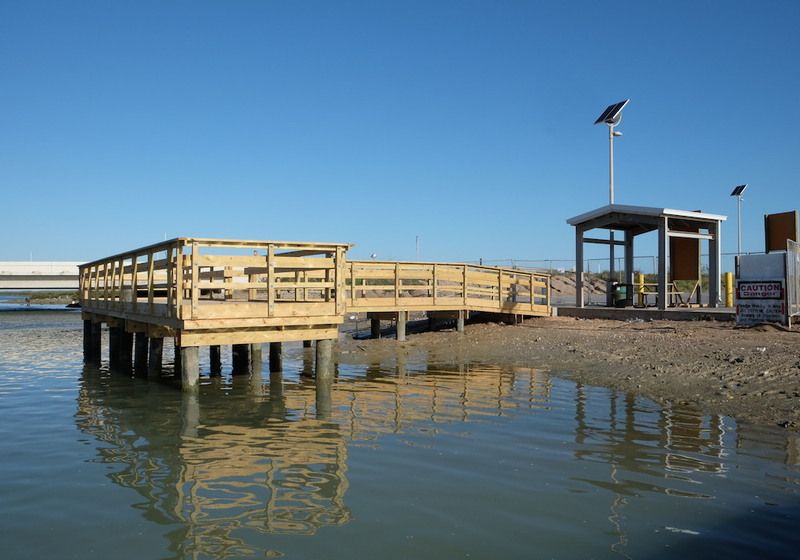 Finally solar lights were installed to allow safety and security for night fishing.